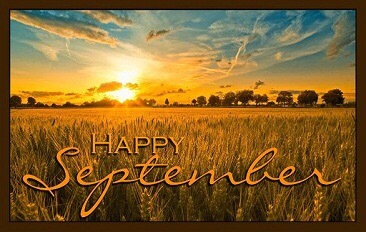 I cannot quite believe we are into September! It feels like I’ve been waiting ages for August to be over (don’t get me wrong, I usually have nothing against August, it’s just that September feels SO much closer to my due date!). Being September, I can now confidently say that I will have a baby next month, eek! I actually have a lot of things planned for this month, compared to others, so baby needs to sit tight until at least the end of the month! 1st Septemebr – Carly’s School Application! Carly misses out on going to school this year but I can now apply for her to go for next year. We plan to move in the next few months so I’m hoping she can get into the same school as Cameron (we have currently moved away from his school and are moving back into the area *fingers crossed*). So exciting! Ok, so we aren’t technically doing anything but this date marks a year to go until our wedding day in Santorini! So exciting! After a relaxing pregnancy massage in the morning, Ed and I will be heading off to look at the Olympus Pen camera I’ve been lusting over, with the intention to buy. So excited! The children are off to legoland for the weekend too so everyone will be having a fun day! Ed has actually been asking me to arrange for us to go to a wedding Fayre as he wants to talk to ring people about creating a bespoke wedding ring for him, so it’s a nice change from dragging him out with me to one. This is the first one I’ve come across for Autumn in the area and I must say, I’m pretty excited as I love a good wedding Fayre! Cameron goes back to school, Carly goes back to nursery and I go back to work (albeit after a shorter time off). It’s going to be a hectic day as in the evening Ed and I are also going to a home birth meeting. They are held every month but this is kind of our last proper chance to go to one as it would be cutting it a little fine waiting until October! This is one jam packed day off I have planned! My 34 week midwife appointment should be pretty routine as I don’t have much to report following a positive growth scan at 33 weeks. I am then finally going to have my highlights done (my roots look awful!) and then in the evening I am going out for dinner with my mum friends for a much awaited and needed catch up/gossip/baby talk – cannot wait! Cameron turns 6! As his celebrations aren’t until the weekend, I’m planning on getting some takeaway pizza (he loves Pepperoni but calls it macaroni) and just having a snuggly family night in front of a film. As I mentioned above, Cameron and his friends will go to the cinema before an afternoon birthday tea (paw patrol themed, of course). This date hasn’t been confirmed yet as the appointment needs to be sent in the post, but I’m guessing my 36 week growth scan will be on this date (when I’m 36 weeks exactly) as they’ve been on a Tuesday so far. Hopefully at this consultant appointment I will be passed back into the home birth team of midwives and given the go ahead for giving birth at home. It will also be the last time I’ll see the baby before he’s actually in my arms and will mark only 1 week to go before I’m classed as full term! I have scheduled in a full afternoon of pampering with a pregnancy massage and shellac manicure and pedicure as well as having my eyebrows threaded. I want to look the best I can do considering how huge I will be. Plus by this stage, let’s face it, I won’t be able to reach my toenails anymore! 25th September – Baby Shower! So excited (and kinda crossing my legs and hoping baby doesn’t appear before it) for baby ‘salad’s’ baby shower! I left it late as I didn’t want to overshadow Cameron’s birthday with it (as I did when I was expecting Carly), but it’s actually only a few weeks before I’m due so I’m going to be massive! We are going to a local hotel for some chocolate dipped strawberries, cupcakes and Prosecco (sadly none for me, *sad face*) along with party games and lots of exclamations of how huge my belly is no doubt! I also need to fit in watching Bridget Jones’ Baby once it comes out, not sure when that will be just yet as I’m a cheapskate and insist on using my meerkat movies code!